We have just added three new gemstone pendants to our Wrapped to Go! website! 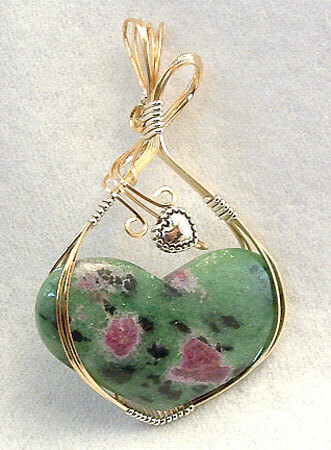 Amazonite in bronze wrapped in gold-filled wire. and a lovely Rainbow Calsilica pendant wrapped in both gold and silver wire. 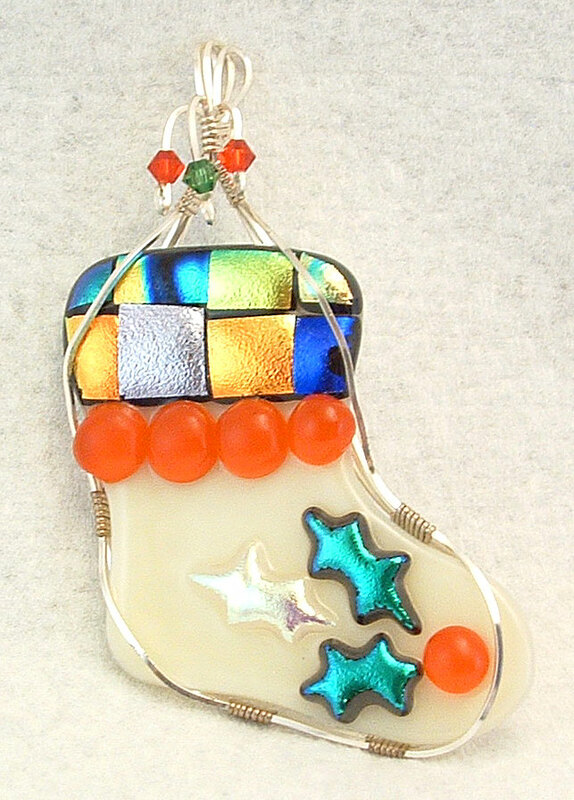 Just in time for the holidays, this lovely stocking is sure to spread some cheer! enabling you to reach and utilise talents and abilities of the mind. It stimulates psychic abilities. Increases awareness of ones individuality. bringing passion and a zest for life. It increases sexual activity, treating impotency and frigidity. It aids in recovery from disorders associated with diminished physical vitality. Fresh off of the pliers, these fantastic Moonstone pendants are ready for Holiday purchasing! Please visit my web-store Wrapped to Go! to purchase one of the darling pendants, or to view more of my hand-crafted jewelry!